So I had a much more involved and reflective post planned for this evening - but it's already 10 and tomorrow's gonna be a long day. * Not to mention, I have some pretty specific art in mind for the post, which I have to shoot during my next afternoon walk -- which is what the post was gonna be about . And tonight he almost took a swim in the pets' water bowl (which is directly under this bulletin board). The near drowning of USB Chicken and the potential loss of all that work almost gave me a heart attack. 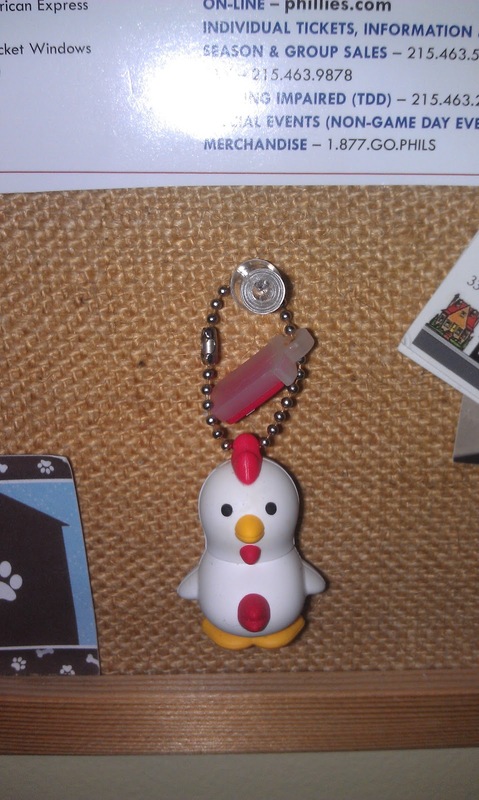 USB Chicken has been moved to a more secure, less aqueous portion of the bulletin board. I just realized his head is on backward. He's like an exorcist chicken, too. He has all sorts of problems, not the least of which is carting around all of my high hopes in his whimsical little belly. **Writing about something I haven't written yet seems to be a major theme of this blog. Does that amuse anybody else? ***I'll now tease to another future post. In addition to my novel, I've taken on another writing project with my friend and ex-landlord Kristi (she owns a beautiful, super-fun farm - and does field trips, weddings, birthday parties and more if you're looking for a unique place in Central Pa. to hold an event). We're still trying to figure out what the project is (short story, novel, screenplay, something else entirely? 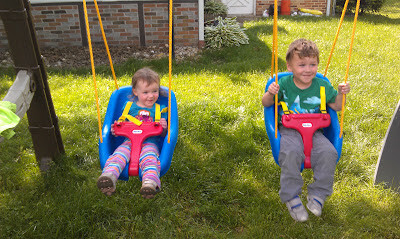 ), suffice to say I feel like she's given me an incredible gift in asking me to help her with it. And that's all I'll say about that for the time being.